So this seems…kinda reasonable. 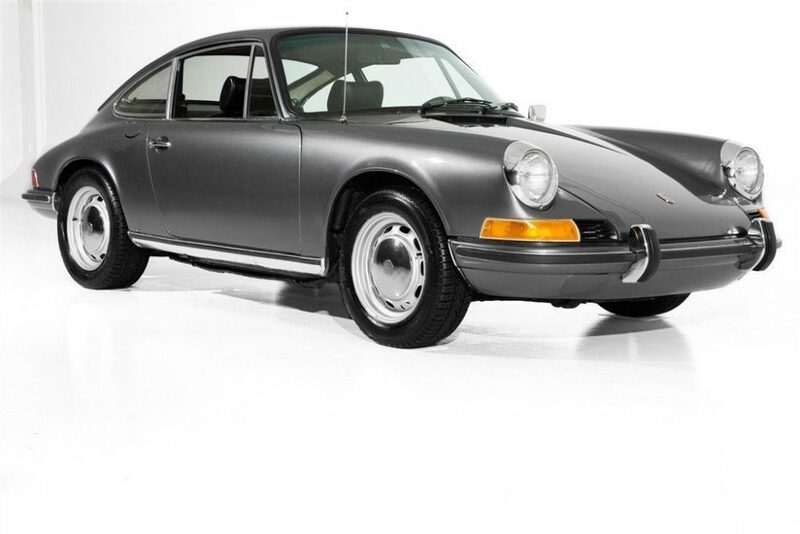 I don’t get to say that often about a long-hood 911, but this Dolomite Grey Metallic 1972 Porsche 911T Coupe sits with an asking price of just under $50K. 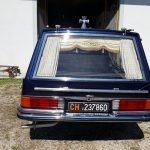 I can’t say we’re blessed with a wealth of information about it, for instance the mileage isn’t stated at all, but it presents well, looks in good condition inside and out, and is said to run well. A PPI should clarify questions about its mechanical condition. 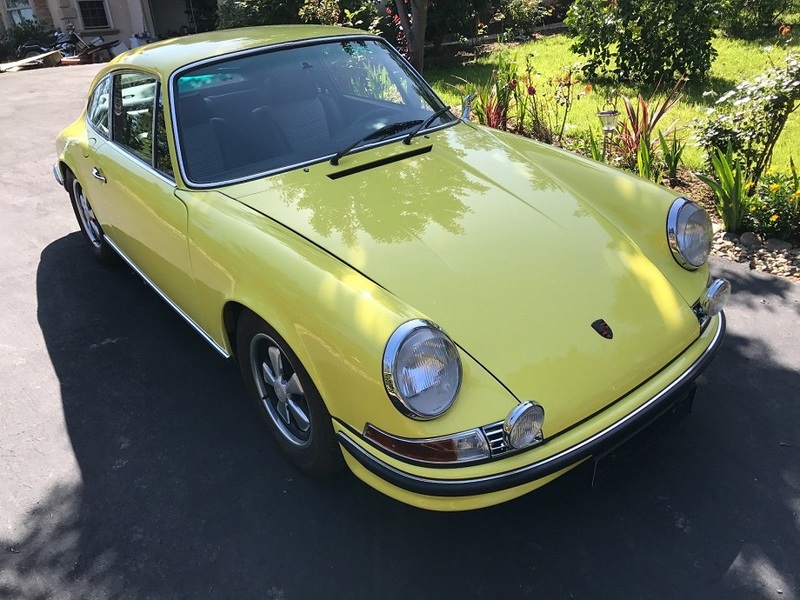 The color isn’t original – it’s said to originally have been red – but I’m not sure that should surprise anyone given the price. 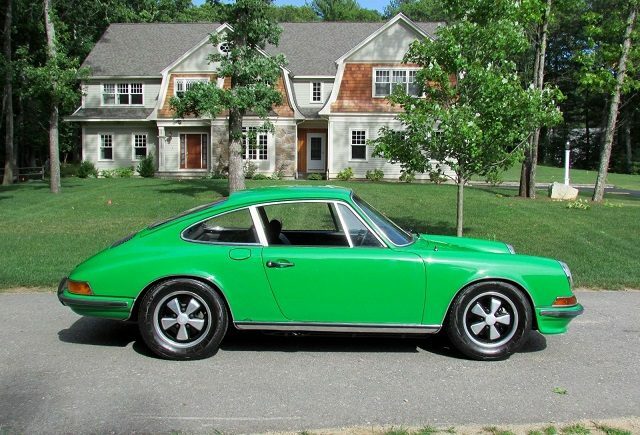 All things considered this could be a nice chance at getting into a vintage 911 for a good bit less than we normally see. I think it’s certainly worth further investigation. Aubergine! Otherwise known as Eggplant. 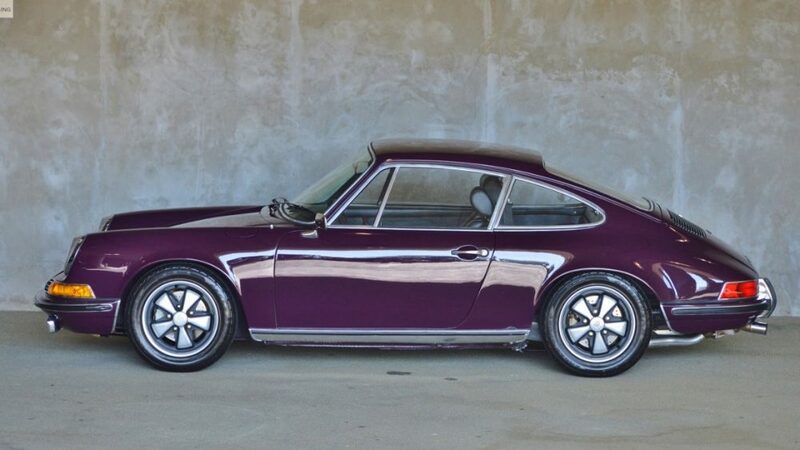 Aubergine is one of my all time favorite Porsche colors. 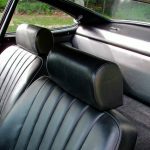 It was available briefly in the early ’70s and that’s it. In part, I love it because it’s very pretty, but I also love it because it’s a color we so rarely see on any car. Purple simply isn’t a common car color. 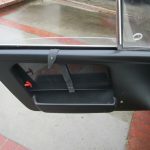 There are very good reasons for that as most shades of purple really don’t work well on cars unless you choose a very dark metallic hue, in which case under anything other than direct lighting it will look black. Aubergine transcends those problems and finds the right balance between showing off the color, i.e. 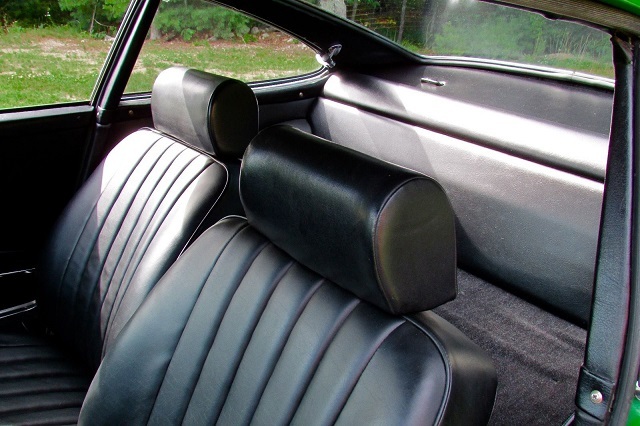 it doesn’t just look black, while also remaining subdued enough that you don’t feel like it’s a circus car. 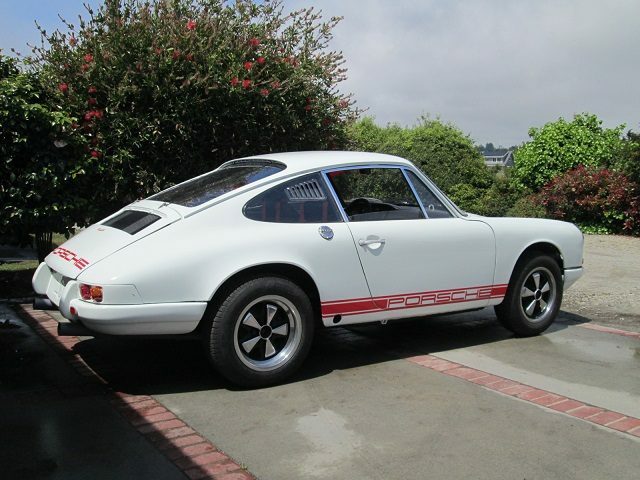 The pictures here do a nice job of conveying the way it looks under different lighting and this particular example, a 1972 Porsche 911T Coupe, looks in good condition with paint that shows pretty well. I don’t see Aubergine 911s all that often, but I’m always glad when I do. Almost every Friday when I was in my early 20s, living in Atlanta, a group of friends and I would go to dinner at a Chinese restaurant. There were a decent number to choose from in the neighborhood and all quite good so we had some nice options. At the time, I was vegetarian and I briefly decided to order the same dish each week. This was in part because I really liked the dish and also in part because I wanted to try each restaurant’s variation. That dish: eggplant with garlic sauce. I loved it. 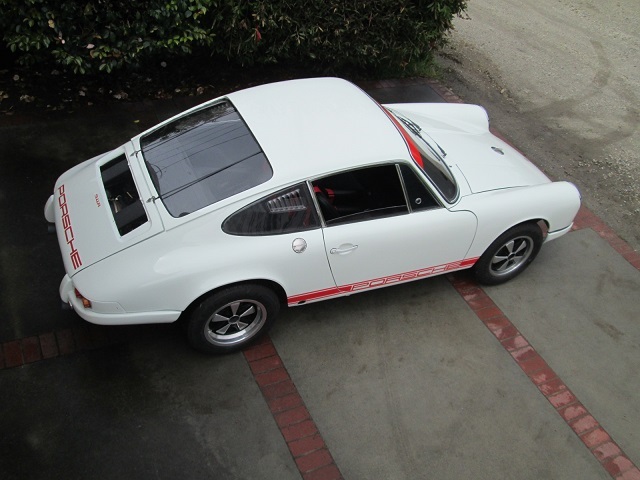 I have chosen this entirely non-car-related diversion as my introduction to this 911. I still love eggplant with garlic sauce and do order it now and then. 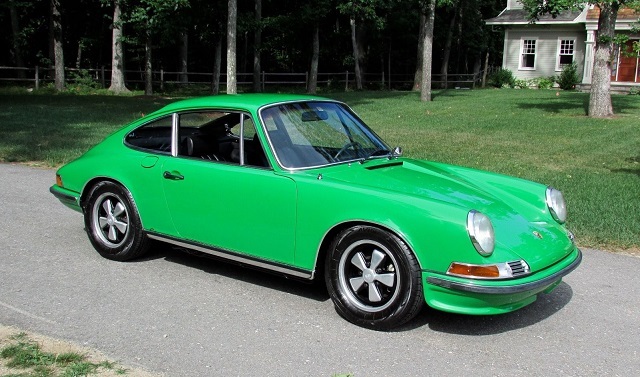 More to the point, I also love the color, which here adorns this 1972 Porsche 911T Coupe located in San Francisco. 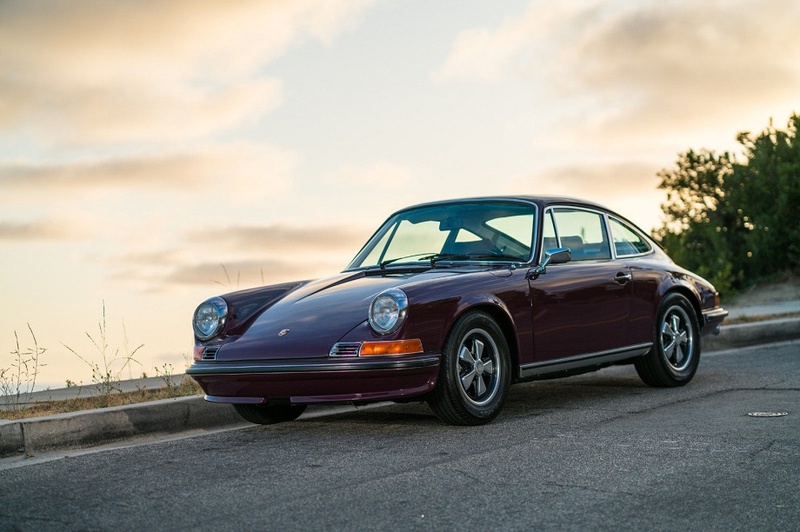 Aubergine, meaning, of course, ‘Eggplant’, is one of my favorite early Porsche colors and it’s always a joy to see it. Unlike other early pastels that I like so much, Aubergine is a little darker, but its purple hues remain fairly bright and vibrant. It’s not quite a pastel, but it is still very, very, pretty. Sometimes cars and people just go together. 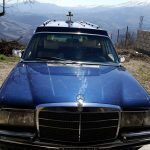 Cars can mimic someones personality and mannerisms, both good and bad. 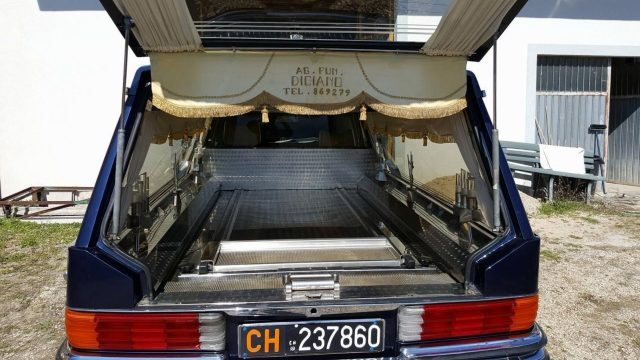 So when it comes to matching up the legendary Mercedes-Benz 600, a car known as one of the most technologically advanced and complex cars ever, to someone who isn’t an entertainer or a dictator, who wants to own one of these? Enter Dr. Forrest Bird. You’ve probably never heard of that name before, just as I haven’t, but he is responsible for pioneering mechanical ventilators for people with acute and chronic heart and lung afflictions. In layman’s terms, he made the iron lung obsolete and helped millions of people over the years. Not only that, he was a certified pilot by the age of 16, served in WWII and assisted in the Korean and Vietnam wars, took his technology company public on the NASDAQ, opened up a museum, earned a M.D., Ph.D., Sc.D., D.S., started a charter school and just to top it all off, was awarded medals by not one, but two acting United States Presidents. Suddenly the problems of owning a 600 don’t seem so large. Rare pastel color? Check. 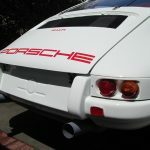 Long-hood air-cooled 911? Check. One-year-only external oil filler? Check. 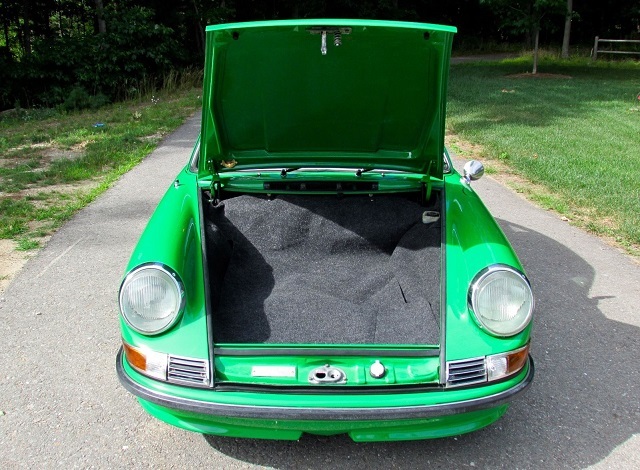 Top market 911S? Check. Very high price tag? Sadly…check. 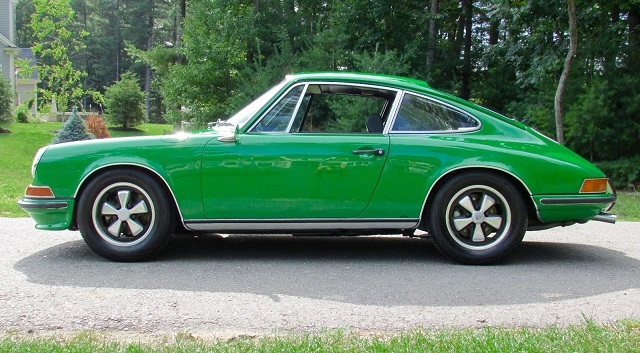 Here we have a Viper Green 1972 Porsche 911S Coupe, located in Massachusetts, with black interior and a reported 70K original miles. 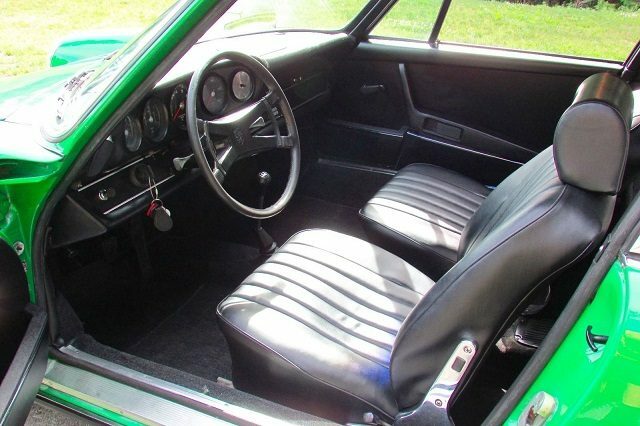 Other than possessing a more interesting interior and/or a set of sport seats this 911 has just about everything you’ll probably want. And it looks fantastic! 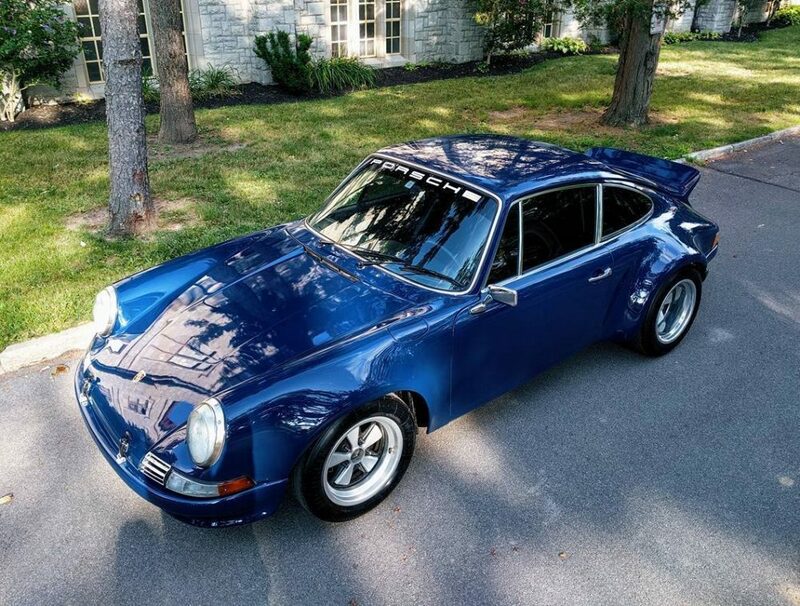 Extremely Rare and unique opportunity to own this clean 1972 Porsche 911s in mint condition. 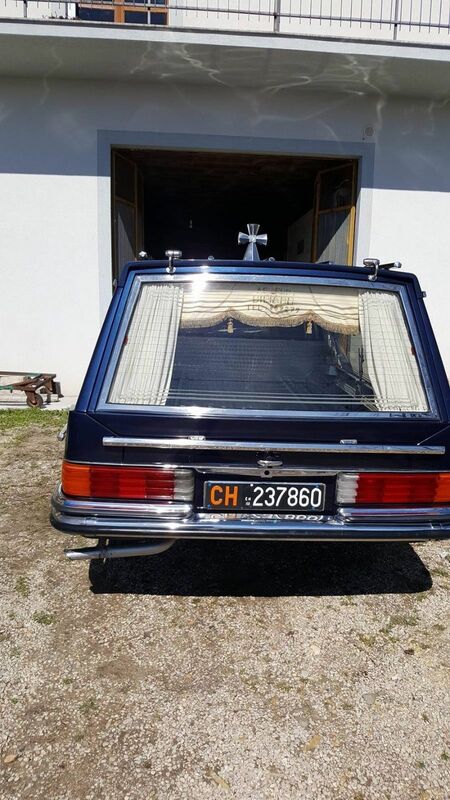 The car has a matching numbers 6-cyl. 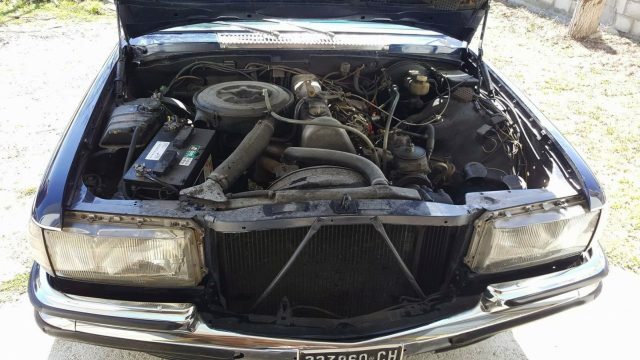 2341cc/190hp motor with a 5 speed manual 915/12 transmission. 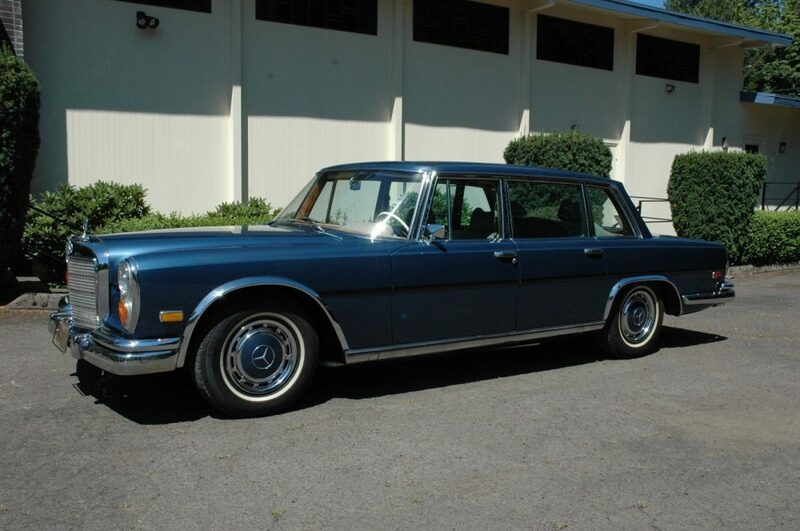 All original and meticulously well kept, has been stored in an indoor climate-controlled garage. 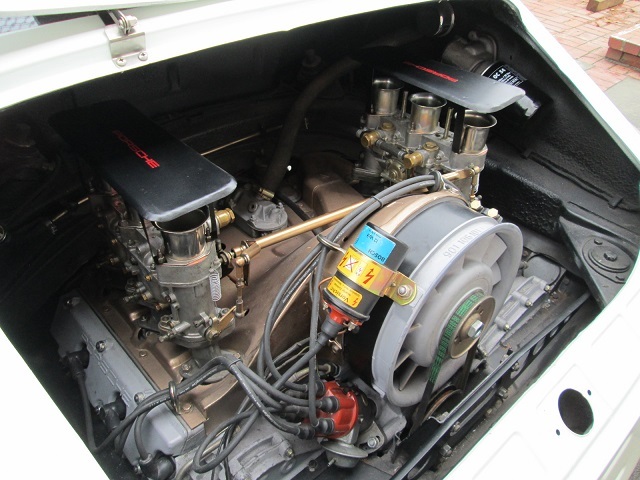 Fully documented with a Porsche certificate of authenticity, this car has just over 70,000 original miles. Its finished in the original colors of a rare Viper Green with black interior. 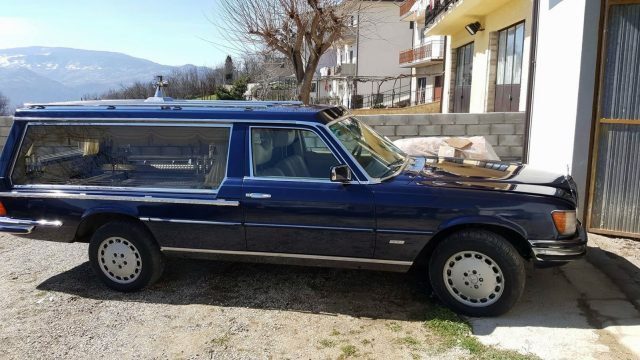 This car is 1 of 6 known to exist in the color combination. Price is firm and please no solicitations for consignment. 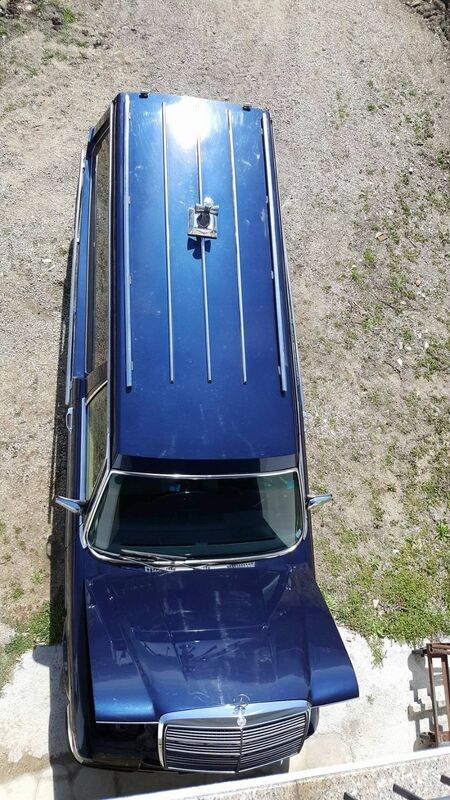 For further information regarding this vehicle, please call (617) 680-9308. 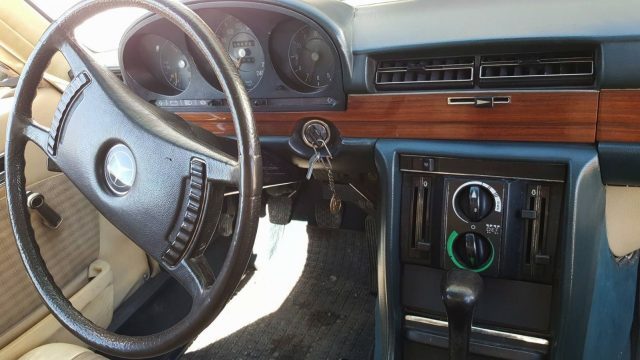 The seller states this is 1 of 6 existent in this color combination. I’m assuming by the text that means existent now and not originally existent, but I could be wrong about that. I’m also not sure if it’s verified, but regardless of how many there are there certainly will not be many. The original Viper Green – as opposed to the later metallic version – is simply stunning. 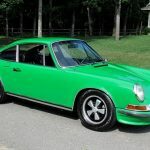 It’s about as vibrant and alluring a shade of green as I can imagine with perhaps the modern version of Signal Green being its only competition. 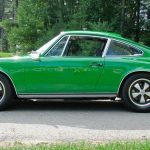 We sometimes speak of the neglect of green cars on the market – in many cases they don’t tend to sell as well as we might think – but Porsche’s pastel greens are clearly an exception, with early Viper Green a quite obvious exception. I think we can see why. The paint looks great here. It’s probably not perfect, but it presents quite well. 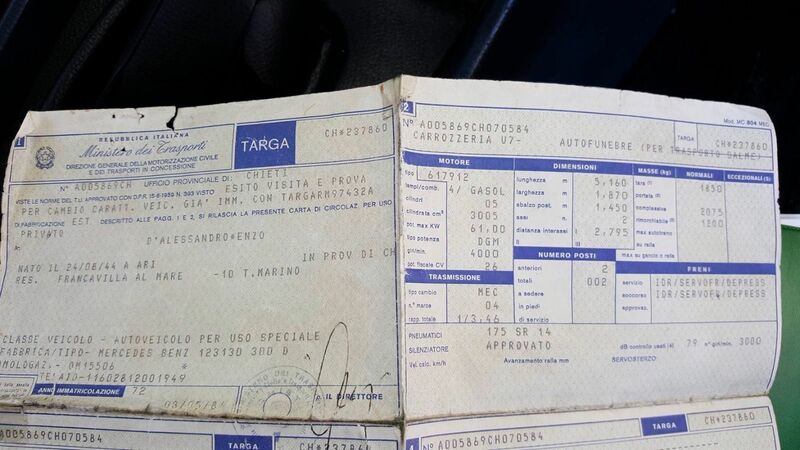 It is also said to be fully documented, though we are not provided any evidence of that in the ad. 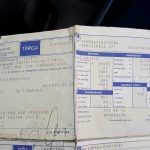 Obviously at this price the level of documentation will be very important, as will the question of whether it’s a respray. If it’s documented and original paint, then the price is probably pretty fair. 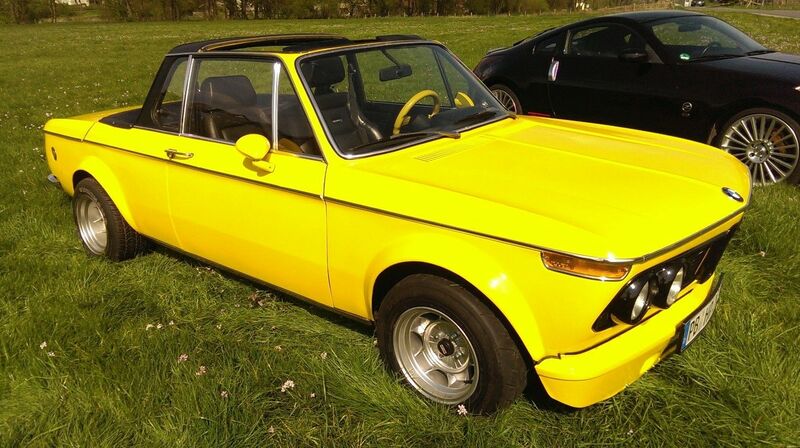 Even resprayed it may come close. I just know that I love the look of it! 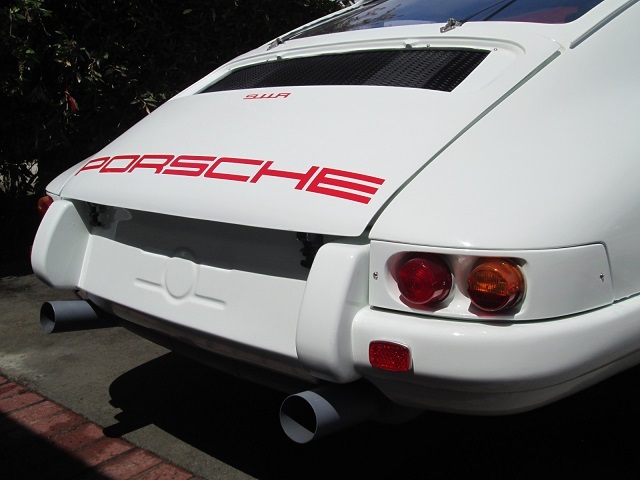 We feature a good number of these 911 tributes and backdates. 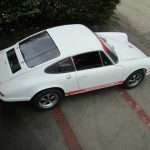 Whether they are tributes to the original Carrera RS, to the 1967 911R like the one we see here, or just built by someone who prefers long-hood design, many of the basic principles and ideals behind them are pretty similar. And they can be very difficult to value. 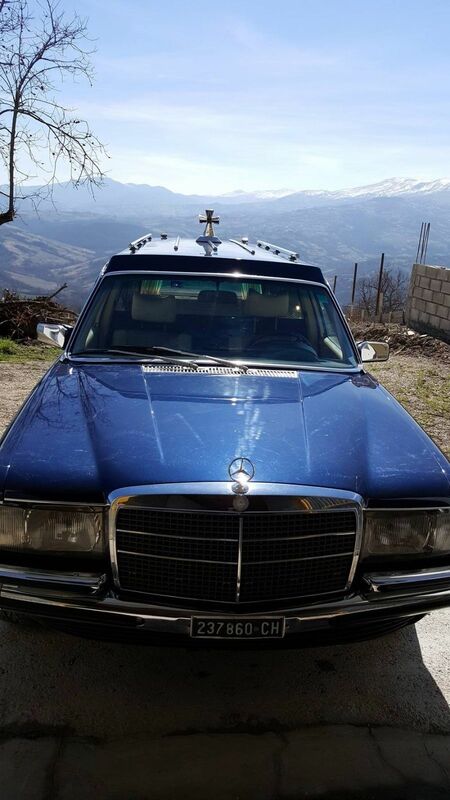 We wanted to take a look at this one precisely to help us gauge that value. 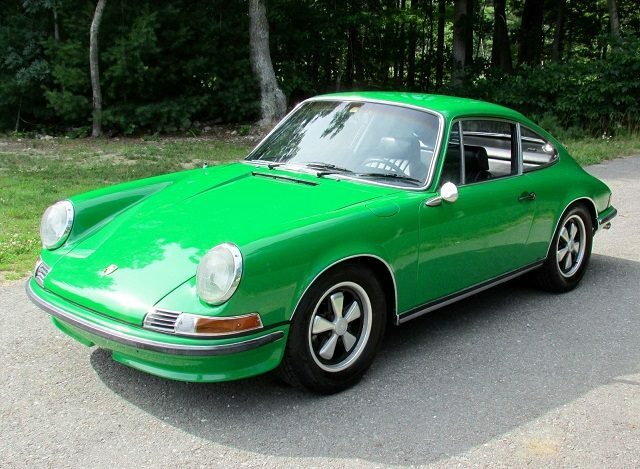 This 911 is up for auction with no reserve so it should show us what the market thinks of these cars. Or at least what it thinks of this one. While the proverbial devil is in the details with any of these builds this one strikes me as falling within a middle ground and I think that makes it particularly useful for trying to understand value. 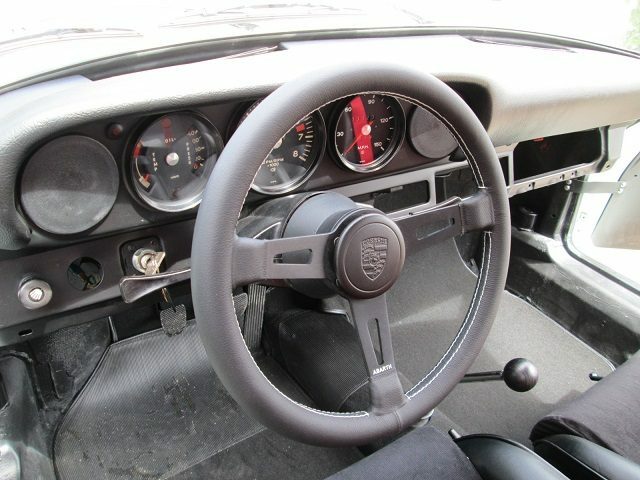 It doesn’t appear to be the most well executed or thorough build, but you can see that a good deal of work has gone in to building this 911R tribute and there are a lot of nice touches presented throughout. Bidding right now sits at $50K. 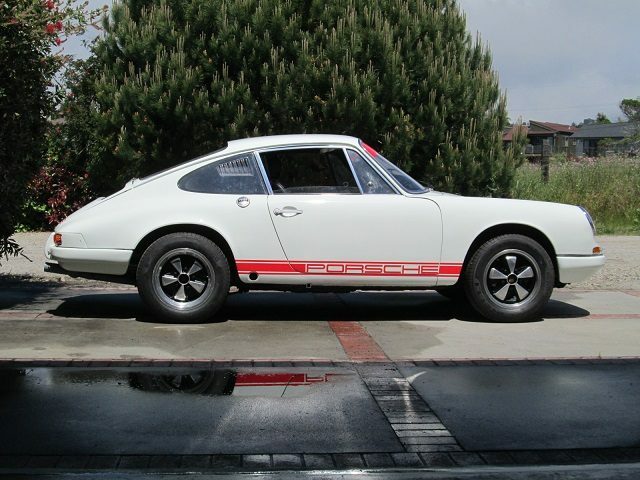 FOR THIS 911R RECREATION THE 1972 911 T US MODEL WAS SELECTED BECAUSE IS THE MODEL YEAR THAT IS INSPIRED WITH 911R AND ONLY YEAR THAT HAS OIL FILLER/TANK ON THE RIGHT SIDE WHICH IS A TRADE MARK OF ORIGINAL 911R. 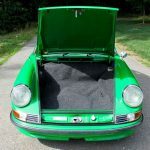 This recreation on arguably the most important 911 is dedicated to Porsche 911 air cooled legacy, and is a result of my forty five year long addiction to this icon of all sports cars, and decades of experience in customizing and restoring vintage Porsche cars. One of the difficulties in making a 911R tribute look good is that it’s supposed to be a pretty spartan build. 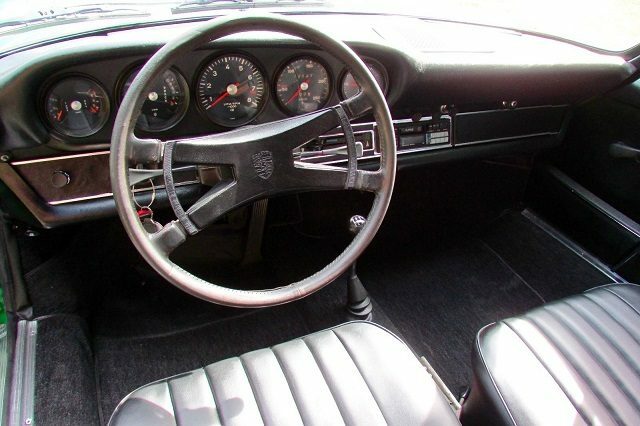 The 911R is as no frills as a road-going Porsche from this period gets and the interior of this tribute certainly shows that. 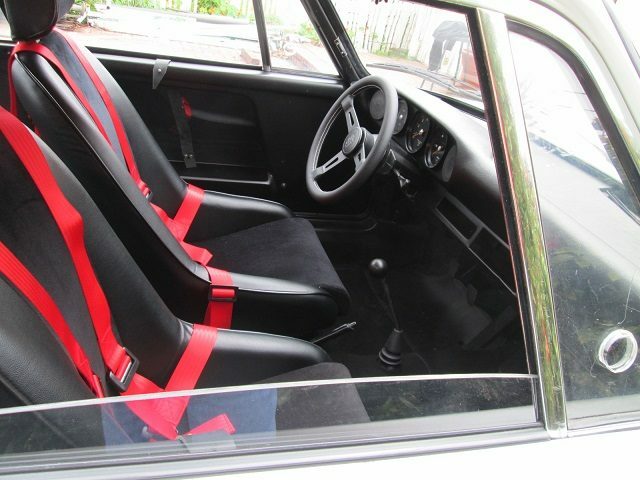 It is one of, if not the, lightest road-going 911s so removing items is just as important as what is added. This one is said to weigh under 2,000 pounds so on paper it sounds like they’ve put in the right sort of work. 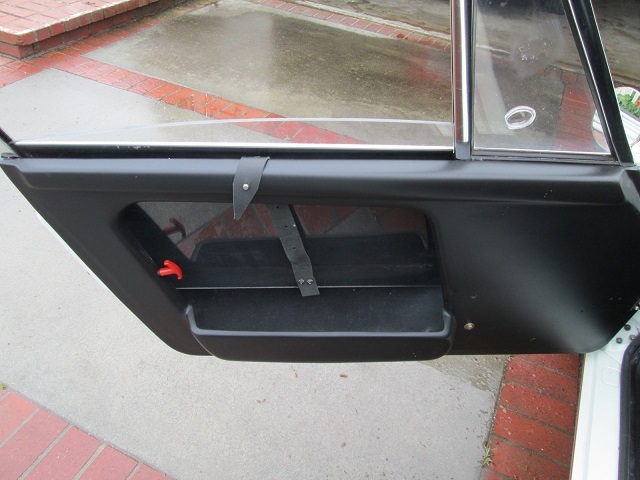 The’ve used lightweight glass all around and fiberglass panels for a good bit of the body. The exterior too has plenty of details and here looks pretty good. Generally, this R tribute looks the part. 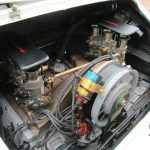 The biggest question, and I’d think the biggest determining factor in value, will be the engine. Does it have the power and character of the original? Can that character be replicated? Honestly, I don’t know though I imagine some of the best shops could do a good job. Is that what we’re getting here? The details are sparse so it’s hard to say, but it doesn’t sound like the engine is much altered from standard. Certainly not enough to reach an R spec. As I said above, I think this build falls into a middle ground. 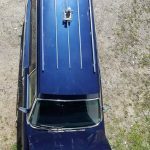 There are some nice details inside and out; it looks like a faithful attempt at replicating the look of the R. I don’t think they’ve gone all out, but that may be ok given that the cost for builder and buyer will remain much lower. With only 20 examples of the 911R in existence it certainly makes sense for builders to come up with a tribute. An original is cost prohibitive for just about everyone. Not so for a tribute. The question now is where this auction ends. Thanks to our reader Jordan for the spot!